How good is this chicken? Slap it on your grill, and just the aroma will make every dog in the neighborhood start to howl. And some of their owners, too. How easy is this chicken? Let me show you. Whisk all ingredients together, then reserve 1/4 cup of the marinade. For what? You'll see. Then grill it. (Use earplugs if all the howling gets on your nerves.) Or if you prefer, 30 minutes in a 450F degree oven works just fine, too. Look good? Well, we're not done yet. Heat up a wok or a large skillet on high heat. 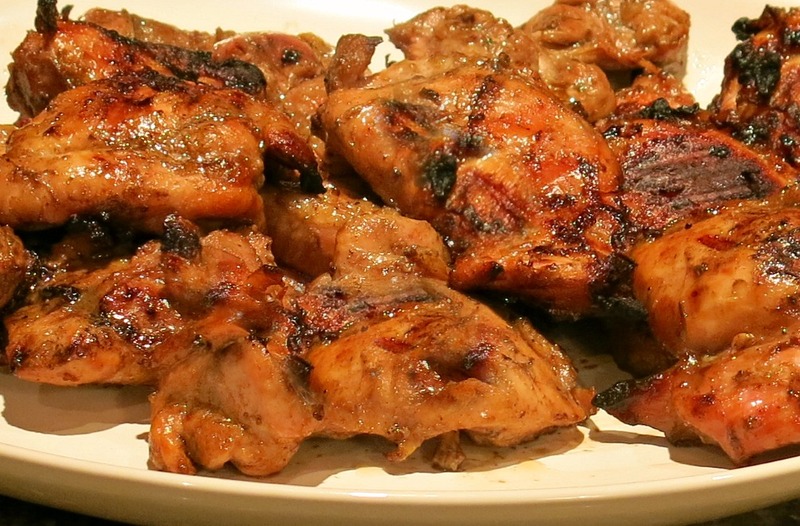 Pour in the reserved marinade and let it get all sizzly. 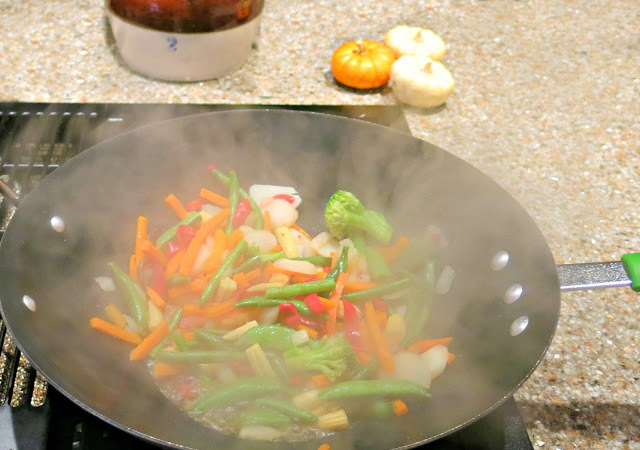 Add fresh or frozen vegetables of your choice and stir fry. Cook it until the veggies are tender and the sauce has been reduced to a glaze all over the vegetables. I love how steamy this gets. I used a package of frozen Oriental-style vegetables, but just about any veggie you like will work out great. Oh this looks so delicious ! It's after 6 and I haven't eaten yet and now my baked macaroni just doesn't seem as appetizing as it did before I saw this !!! Oh, sorry! Thanks for being so nice! 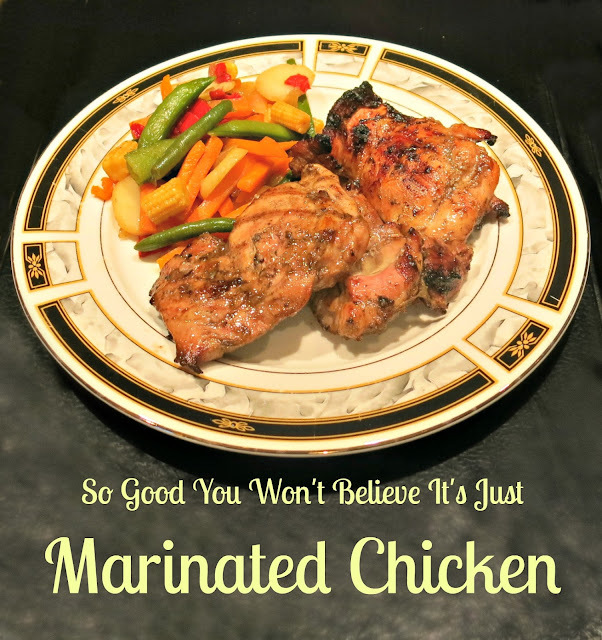 Your recipe and picture of Marinated Chicken sure does sound good and easy is always helpful on a busy day. Thank you for sharing with the Clever Chicks Blog Hop! I hope you’ll join us again next week! Busy days I know about! I hope you have a chance to try it some time. Looks so good! I always tend to overcook chicken so I need to follow chicken recipes carefully...this looks delicious! I've got my fingers crossed for you, Shelley! I think you'll do great! Oh man that looks delicious! I love the flavor combination in the chicken! Pinned and shared on facebook! Found you on Thursday Favorite Things blog hop! Thanks so much, Trisha! I appreciate your support. 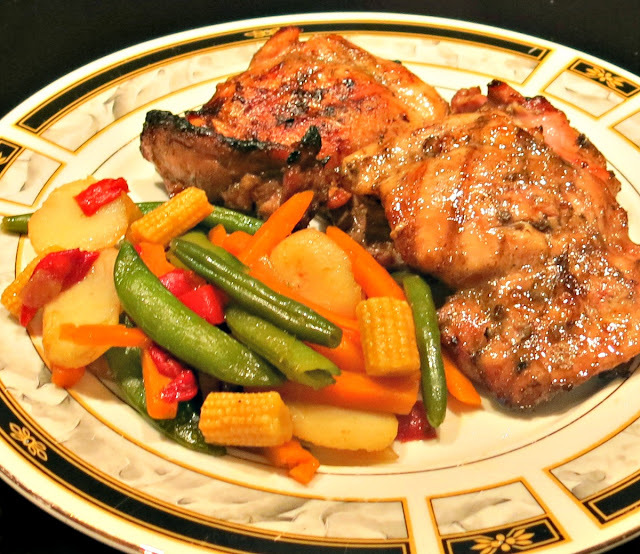 You gotta try this chicken! Thanks for stopping by! Looks like this would be delish on the grill! Visiting from No Rules Weekend Blog Party - thanks for sharing! Oh, SO delicious on the grill! I'm glad you came by. Sounds yummy! Thanks for sharing on My Flagstaff Home! I'll be there! Thanks for all you do! Yum! Visiting from Fine Craft Guild! Yes! Glad you came by! It's all that! I hope you give it a try! I so appreciate being pinned! Thanks! It is lovely to have you bring this delicious dish to the party. I hope we see more of what you have. Thanks! I hope we'll meet again soon. Looks tasty! I pinned it so I can find it again. Thanks! I appreciate that! Come by again soon. This looks so delicious and easy! Thanks for sharing. 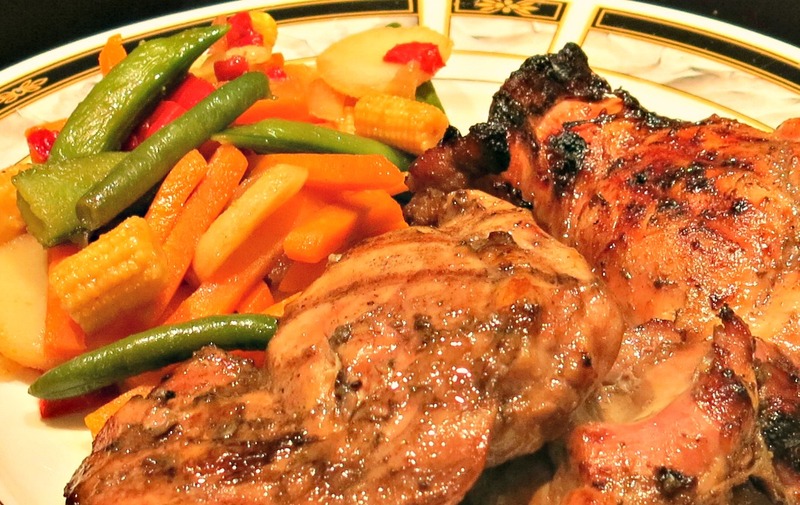 This chicken looks delicious, a great recipe! Thanks so much for sharing with Full Plate Thursday and hope you have a great week. I wouldn't miss your party! This chicken looks amazing! We eat a lot of chicken at our house, so I'm excited to try this recipe. Thanks for sharing with us at the Merry Monday Link Party! Hope to see you again on Sunday night! I'll be there! I hope you try my recipe soon and like it. With vape juices that come from food-grade ingredients, their vaping flavors are amazingly smooth and consistent.